Capt. 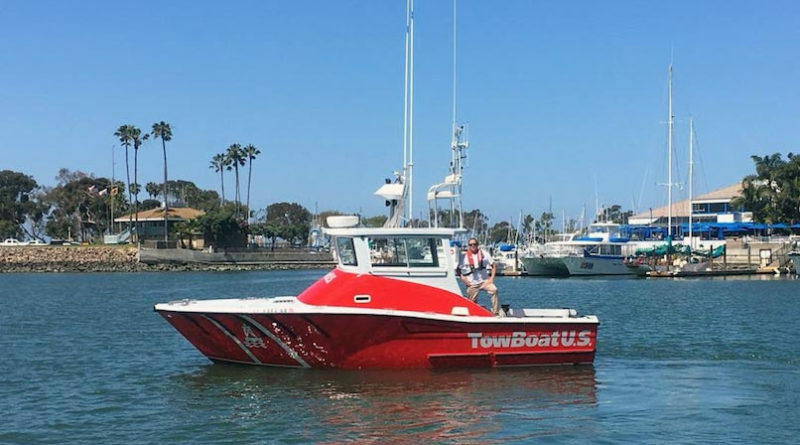 Scott McClung was announced as the new owner of TowBoatUS Dana Point, according to a released statement from BoatUS. The boating service services the south Orange County and north San Diego County region. McClung will operate two assist boats in the Dana Point region: a 27-foot Farallon with a 400-hp inboard diesel and 24-foot Skipjack with a 400-hp inboard/outboard engine. “Both are painted bright red with the white TowBoatUS name and logo emblazoned on their hulls, and they are fully rigged for towing and salvage, with powerful pumps, battery jump packs, dive gear and extra fuel,” BoatUS staff said in a released statement. TowBoatUS can be reached on VHF at channel 16 or by calling 714-307-2413; the dispatch number is 800-391-4869. More information is available online at BoatUS.com/towing.